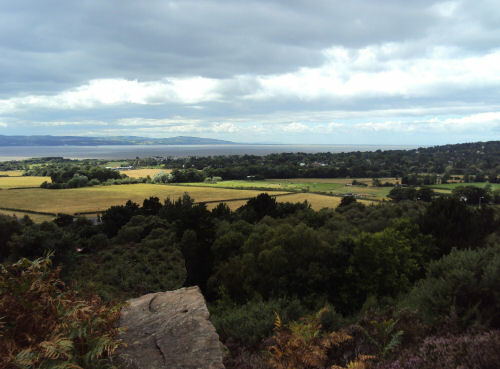 The beautiful Dee Estuary is a large estuary by means of which the River Dee flows into Liverpool Bay. The estuary commences near Shotton, after a five miles (8 km) 'canalised' section, the river swells to be several miles wide forming the boundary between the Wirral Peninsula in north-west England and north-east Wales. The large, funnel-shaped, sheltered estuary is a major wildlife area and is one of the largest and most important wetland sites in Europe. 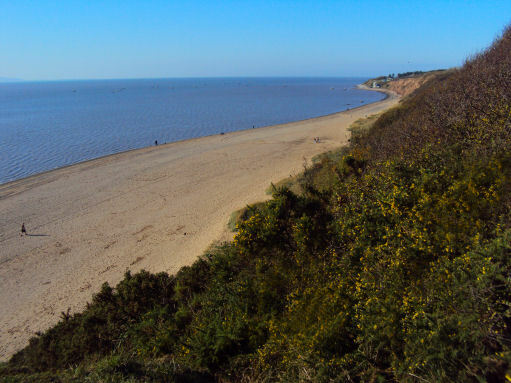 The site also includes the three sandstone islands of Hilbre with their important cliff vegetation and maritime heathland and grassland. The estuary offers great days out, whether you're exploring wildlife-packed bluebell woodlands at Burton Mere, or taking a bracing walk along the beach at the Point of Ayr. There's even the remains of the Wirral's only Iron Age hill fort to be seen. The Dee Estuary is of major importance for waterbirds. During the winter, the intertidal flats and saltmarshes provide feeding and roosting sites for large populations of ducks and waders. In summer, the site supports breeding populations of two species of terns at levels of European importance. 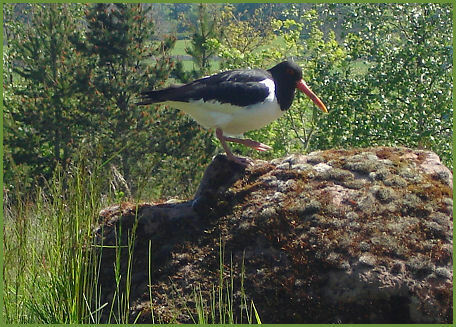 The site is also important during migration periods, particularly for wader populations moving along the west coast of Britain. The pattern of colonisation in the Dee had been radically influenced by the creation of the Dee Cut, dug to offset the natural sedimentation of the estuary, which prevented Chester from remaining a port. The Dee catchment and its estuary have retained a good water quality to the present day. Officially classed as a species under threat, the Black-Tailed Godwit finds sanctuary on the Dee Marshes, especially in autumn and winter. The Redshank is a year-round resident of the Dee Marshes and can easily be recognised by its long red legs. The Dee Estuary is also a particularly good site to see Northern Pintail Ducks, as large numbers choose the site for overwintering. When the spring comes they leave for breeding grounds in Iceland, before returning in autumn. Leach's Petrel, Manx Shearwater, Common tern, Guillemot, Arctic Skua, Long-tailed Skua, Pomarine Skua, Oystercatchers, Golden Plover, Fulmar,Great White Egret, Red-throated Diver, Peregrine, Curlew Sandpiper, Shoveler, Black-tailed Godwit and Mediterranean Gull are amongst many species that can also all be sighted there. *Commencing at Hoylake station, walk along Station Road to a roundabout on Meols Drive. Cross over to the King's Gap and head down to the shore at the end of the North Parade. Then continue in the direction of the Red Rocks, then Hilbre Point. Skirt to the right around the rocks at Hilbre Point, pass the end of Stanley Road and continue along the track inland for a short distance behind houses, to join a boardwalk that crosses the Red Rocks Nature Reserve. *Continue along the boardwalk to the end, then take the higher path with over the Dee Estuary to eventually join South Parade at West Kirby. From South Parade head toward the Marine Lake. Tide permitting, cross from the from the slipway at Dee Lane next to the Marine Lake,over the sands to Hilbre Island, (The Islands are cut off from the mainland by the tide for up to four hours out of every twelve so do check the tide tables before planning this walk). *After exploring the island of Little Eye, head off over the sand in a north-westerly direction for Little Hilbre Island. On arrival at Little Hilbre, climb the steps to the left of the natural arch to join a path to cliffs on the west side of the island. Descend over rocks at the northern tip of the island and cross the rocks to the left of the beach by the sandstone cliffs and pass several old buildings. *Follow the same route to return to West Kirby. From the Marine Lake head off along the sea wall to reach Sandy Lane. Continue up Sandy Lane to the point where the where the Wirral Way crosses, then turn left along the Wirral Way. Pass through Ashton Park to finally emerge on Grange Road, after walking a short distance down Grange Road turn right into Orrysdale Road. Follow the as it crosses Bridge Road and becomes Anglesey Road. Where Anglessey Road turns to the right, join the path alongside the railway line to return to Hoylake station.